Clean water underpins the health and vitality of our community. Clean water emerged as Salmo’s priority asset in the recent Sustainable Salmo asset mapping process. Protecting the Village’s pristine water supply is a priority for community members both now and into the distant future. The Village of Salmo is fortunate to have three aquifers either resting below or near its boundaries. Aquifers 496, 497 and 498 are natural underground reservoirs that hold groundwater and provide pristine water to our wells and springs (see aquifer map below). 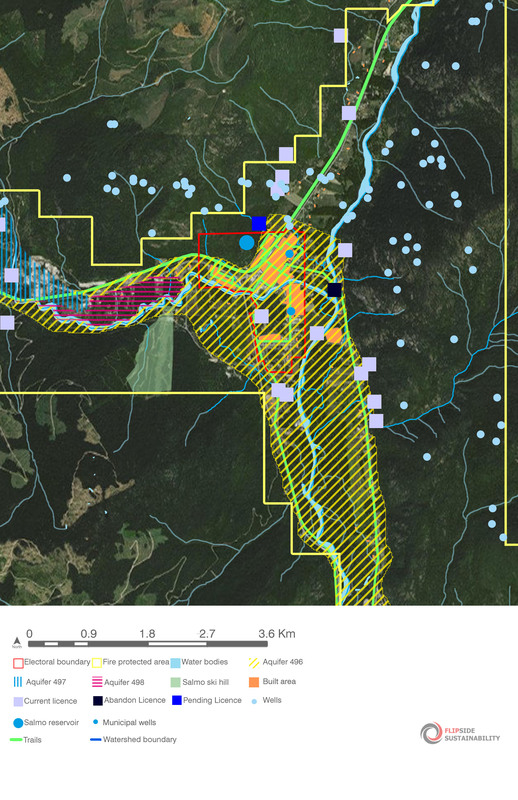 The Village relies 100% on the groundwater supply from aquifer 496, which is pumped from two main Village wells, Sayward and Glendale (blue dots on the map below). 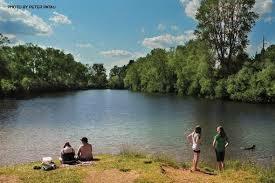 The water is pristine and untreated, providing residents with all the health benefits associated with pure groundwater. Another benefit is the significant infrastructure savings associated with water delivered directly to homes rather than through an expensive water treatment plant. It is important to note that aquifer 496 is a vulnerable aquifer. This means that the aquifer is hydrologically connected to surface water and fluctuates with the water table. It also means that it is prone to contamination from surface sources. 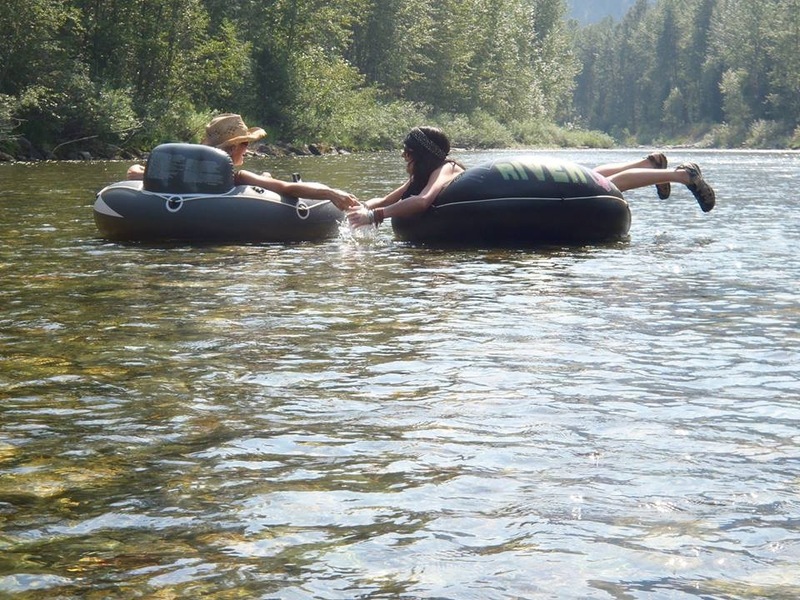 We, as community members, have a significant responsibility to steward and protect this pristine water supply. What does our aquifer provide? Go Native: Choose native plants in your landscaping that are adapted to the region and do not need much water or fertilizer. Reduce Chemical Use: Use non-toxic cleaners, reducing chemicals used around your home and yard. Make sure to dispose of toxic substances (oil, paint, pharmaceuticals, etc.) properly – don’t dump them! Conserve Water: Use water wisely. Do not let water run. Fix any leaks or drips quickly. Replace toilets, showerheads, faucet heads and other fixtures with low-flow options. Contact the Village for options. Be Water Smart: Water lawns and plants during the coolest parts of the day. Make sure you, your family and your neighbours obey water restrictions during dry periods. What is the Village doing? In December 2016, the Village of Salmo contracted Waterline Resources Inc. for hydrogeological assessment of the aquifer. The Village hopes to undertake studies to establish more precisely how the aquifer is replenished in order to support ongoing groundwater protection strategies. The following describes the three aquifers above or close to the Village of Salmo. 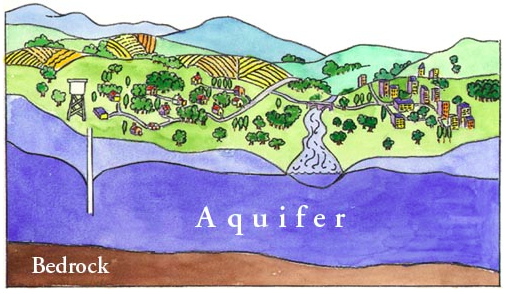 Aquifer 496 is hydraulically connected to surface water, which means that aquifer recharge occurs mainly by rainfall and snowmelt from nearby upslope streams, creeks, and rivers. 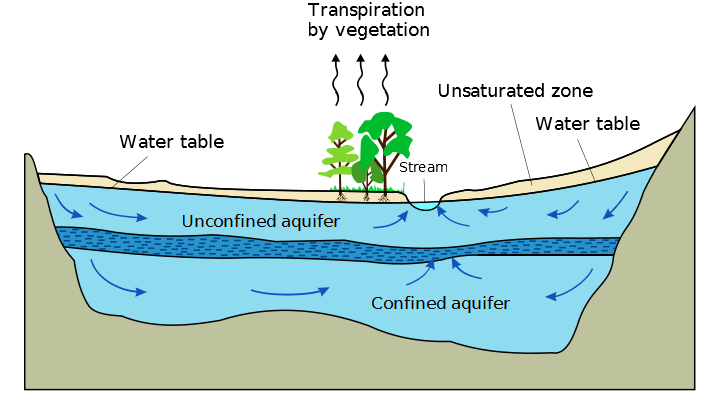 Due to its unconfined nature and connection with surface water, this aquifer is highly vulnerable to contamination from surface sources and requires thoughtful stewardship. is highly productive relative to demand (moderate), with estimated well yields ranging between 0.61 and 37.8 litres/second. Aquifer 497 is likely hydraulically connected to Erie Lake in some locations, which could influence aquifer recharge during certain times of the year. is moderately productive relative to demand (light) with estimated well yields ranging between 0.61 and 1.5 litres/second. Aquifer 498 is likely hydraulically connected to Erie Creek in some locations, which could influence aquifer recharge during certain times of the year.